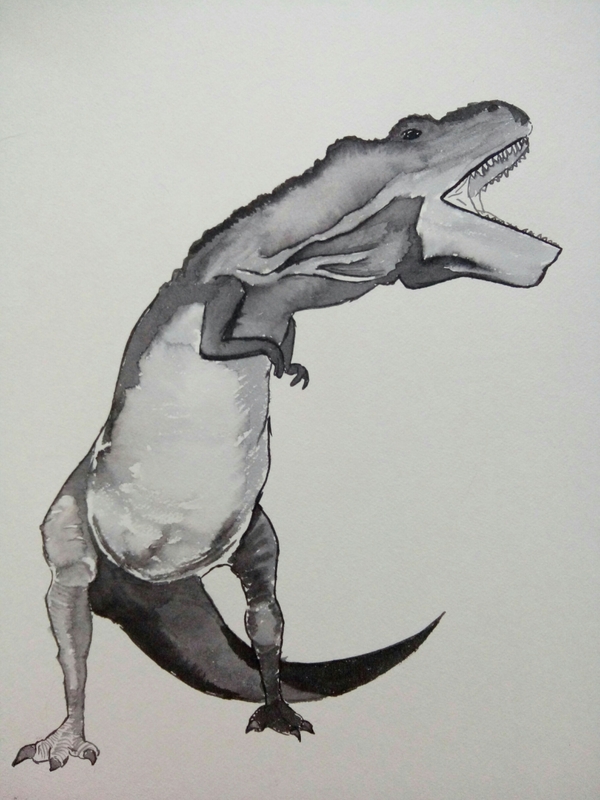 “What happens when a T Rex has a car crash? 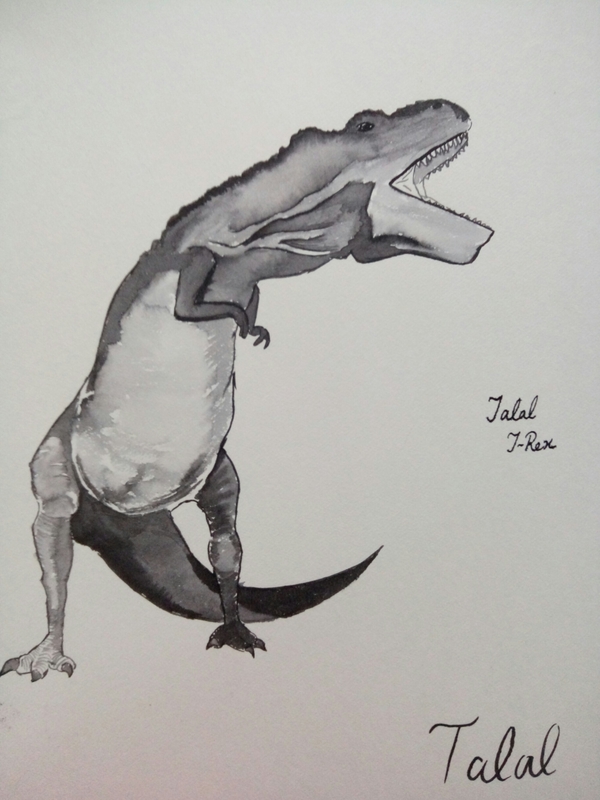 This is Talal T Rex, practicing for his new stand-up comedy show. He initially tried practicing with a microphone, but they can be hard to hold with no opposable thumbs. He gave up after he dropped it for the 32nd time in 6 minutes. Talal feels microphones distract from the substance of the show, anyway. His producer agrees with him. People often agree with Talal. That’s how he knows he’s a reasonable T Rex. Talal has quite the sense of humour. He needed it, bringing up his daughter, Tara, alone after her mother was killed by a genetically engineered monster called the Indominus Rex. Being a single dad is hard. Especially when you have tiny arms. Today, Tara is all grown up and setting up her own family with her partner, Tasneem and their little son. Talal is now working on his own stand up comedy show for ComedyRex TV.